We were founded in the late 1970's. The most important thing that my company does is provide good customer service, a clean and friendly environment, newly remodeled inside and outside, and some of the best Brunswick tables in the area. What makes Aloha Billiards a great place and unique from other pool halls is the fact that Aloha is a "Family" Billiards; all ages are welcome. Playing pool is a sport that young and old may enjoy. At Aloha, you can feel comfortable coming in alone to play pool or to simply sit and have a beer at the bar. It has an "old neighborhood bar/pool hall" feel to it. At Aloha you will meet and make great friends. Aloha Family Billiards is family-owned and operated in Buena Park, CA. Since opening in the late 1970's, we've treated every customer like they were a part of our family. Other companies may offer similar services, but our services come with a personal touch. I was first introduced to Aloha Billiards by my husband, Wayne, who is no longer with us. We purchased this wonderful business in 1981. It was such an exciting and, yet, frightening experience for me! Aloha Billiards became Wayne's life and he loved it; he loved the sport. 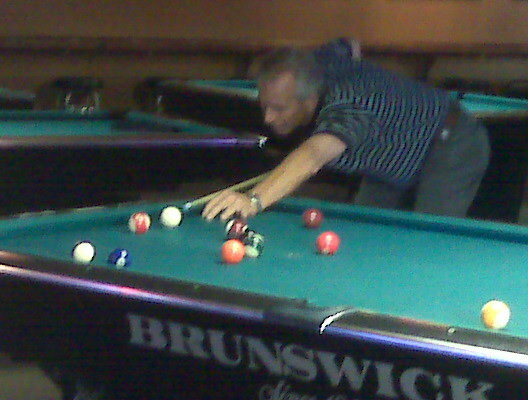 For the past 2 decades I have run Aloha Billiards and have come to understand why Wayne loved that place. It truly is more than just another pool hall. It has a wonderful spirit of its own. The people who come in there are what makes Aloha such a wonderful place to be. They are the heart of Aloha and I want to thank them all for their faithful support throughout the years. I met Anne Marie in 1995 in a pool tournament hosted by Aloha Family Billiards and Anne Marie personally. I then adopted Aloha as my second home. It truly is a family pool hall with an incredible rich history. Many customers are children of Aloha patrons and pool players from decades past. Committed to helping our customers relax, have fun with friends, and feel at home.